This Puretec under-sink water purifier combines three effective filtration methods in one compact cannister. It absorbs and extracts residual chlorine, unwanted organics, silica, rust and pathogenic bacteria (such as e-Coli) leaving pure healthy and great tasting drinking water. High flow rate of 6 to 8 lpm. 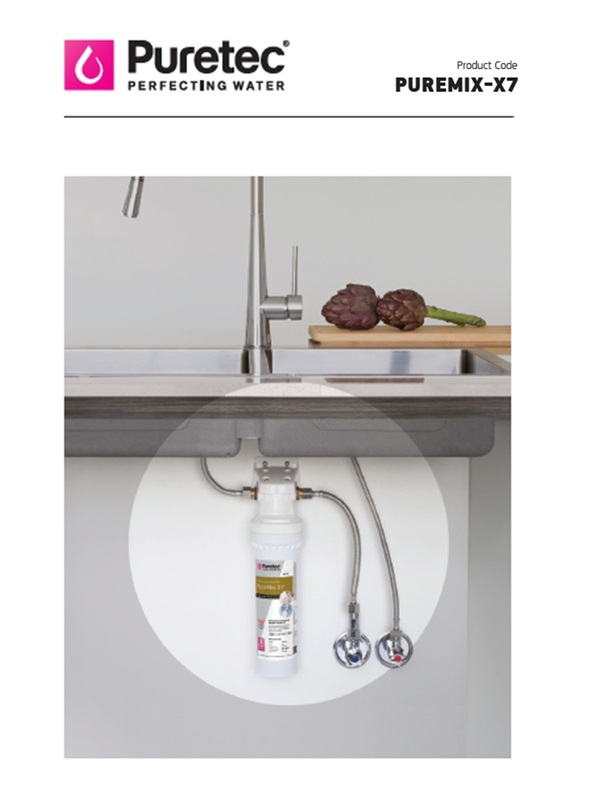 This under-sink water purifier is best used with the SWEDIA Otto mixer that includes a tap and outlet for filtered water which can be purchased separately. Check it out now and get both the mixer and the water purifier! There are so many unwelcome substances in your town water these days linked to all sorts of medical conditions. Chlorine, herbicides, pesticides, bacteria, heavy metals, chemicals, and nasty disease agents are all present. Therefore, a reliable in-home filtration solution that provides you pure drinking water is essential for your family's well-being. This trusted Puretec under-sink water purification unit combines the best of a number of renowned water filtration and purification technologies to give you clean, pure and great tasting water. Firstly, this includes an activated carbon filter which utilises activated carbon to remove contaminants and impurities through "absorption'. The absorption process traps residual chlorine, sediment, and volatile organic compounds. It removes odours from the water and improves its taste. Secondly, a DE Filter (diatomite based) does what most other commercial filters do not. Diatomite is an unique natural material that has a low density, high porosity, and high relative inertness. It naturally extracts silica, rust, and pathogenic bacteria (such as E Coli) from water as well as larger organic materials. Thirdly, ceramic membrane technology provides an important filter to remove anything of a size that should not be in your drinking water. The small pore size of ceramic membranes filters out all kinds of debris, dirt and even bacteria. Whilst most filters concentrate on one of the above methods this Puretec purifier combines all three to produce the cleanest water possible. It also prevents hard water scale formation and preserves the trace elements in the water that are good for us. The result is pure, healthy, great tasting drinking water. Unlike some other compact water filters, this Puretec model does not compromise water flow. It has a large practical water flow of 6 to 8 litres per minute so you get the water you need without waiting. Please note this does not come with pressure limiting valve, however, we recommend you ask for one from your plumber to best suit the water pressure at your location. Depending on the quality of your water supply the Puretec unit is rated to purify between 5,000 and 10,000 litres of waters. To maintain continued effectiveness and performance of the Puretec drinking water purification unit it is recommended a replacement of the filter cartridge every 6 months. 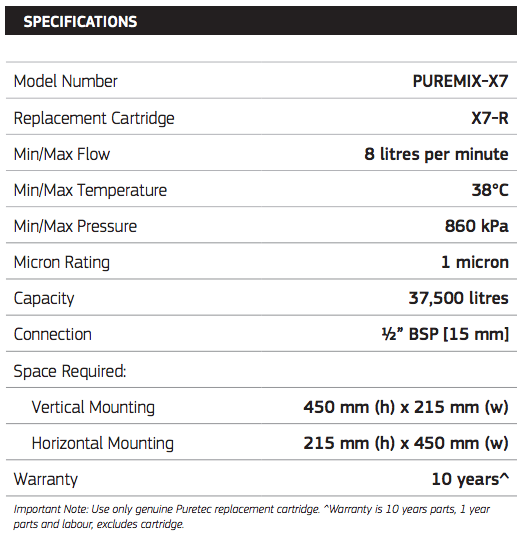 The cartridge simply twists off the base and can be replaced with a Puretec replacement cartridge sold seperately. This unit produces no waste water. It is also compact and easy to fit in limited space under your kitchen sink. Unlike some other under-sink domestic water purifiers, this unit combines all the filtration functions in one canister. It is set up for Australian standard plumbing connections out of the box. 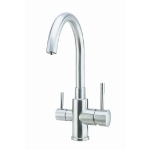 You can connect the output drinking water to your existing drinking water tap or to the innovative SWEDIA Otto kitchen mixer that allows you to source both mains water and drinking water from a single faucet. Click on the icon to download the specifications sheet (PDF) for this product.